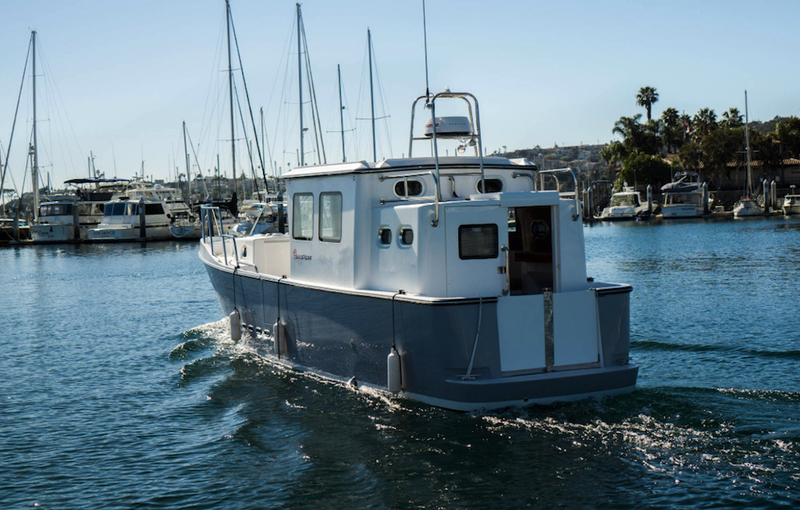 Take a closer look at this basic trawler for old school simplicity and an old world price. More than 80 percent of boats sold today are pre-owned. It’s no surprise really, since oftentimes, that’s when they become affordable for most of us. But if you’re looking for a distance cruiser that is affordable right out of the box, put the new SeaPiper 35 on your short list. Designed by Ritzo Muntinga, SeaPiper is a long distance trawler that’s built in China. Hull #1 arrived in California this spring and hull #2 is due in the fall. Designed with barebones systems to be easily maintained, the model looks like a Pacific Northwest crabbing trawler and has some no nonsense features that DIY boaters will love. 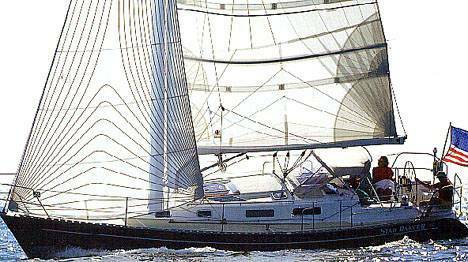 Topping out at 9.8 knots at 2800 RPM, the SeaPiper 35 was built for long distance cruising—up to 2000 nautical miles. The SeaPiper 35 was built to wander far—up to 2000 nautical miles, and do it with utter simplicity so it can be serviced with minimal handiness and tight budget. 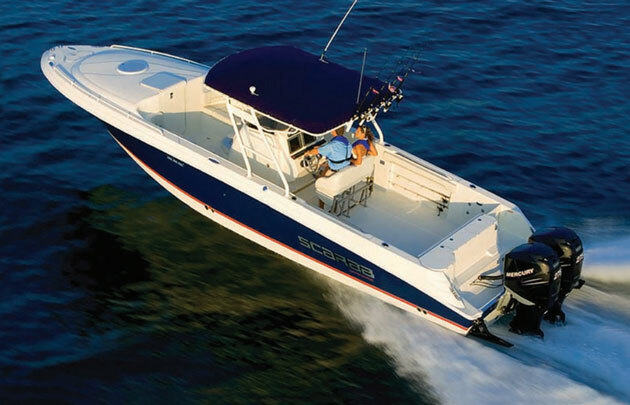 The 85 HP Betamarine single diesel, accessible via the cockpit sole, drives a 1 ¾” diameter stainless steel shaft which runs from amidships just about all the way aft and has a conventional shaft seal and cutlass bearing for easy DIY maintenance. Fuel is drawn from wing tanks, each with its own fuel filter and deck fill. With a 22-inch four-blade prop turning at 2350 rpm, the SeaPiper will make 8.6 knots. A more economical cruise is 6.5 - 7.0 knots where she burns one gallon per hour. With 270 gallons of fuel you can venture far because the displacement hull delivers sailboat-style fuel efficiency. 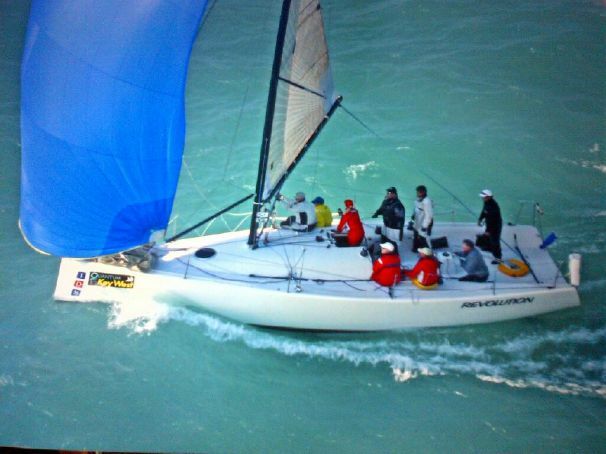 She tops out at 9.8 knots at 2800 rpm. The design is narrow with an 8’6” beam. That’s good and bad news. It’s good because at that width, the SeaPiper can be trailered without a permit. You can choose your cruising grounds and deliver the boat there with a hefty pickup at 70 MPH rather than at eight knots. 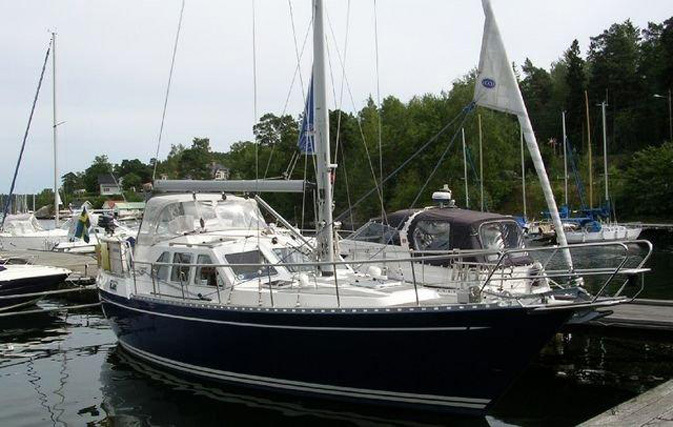 She can also be stored dry rather than in an expensive marina between seasons. It’s not good because her trim beam makes her a bit rolly. There’s room to add an optional SeaKeeper gyrostabilizer but given that a new SeaPiper, including $34,000 of options, comes in at only $169,000 and a gyro costs around $35,000, that choice probably won’t make much sense. 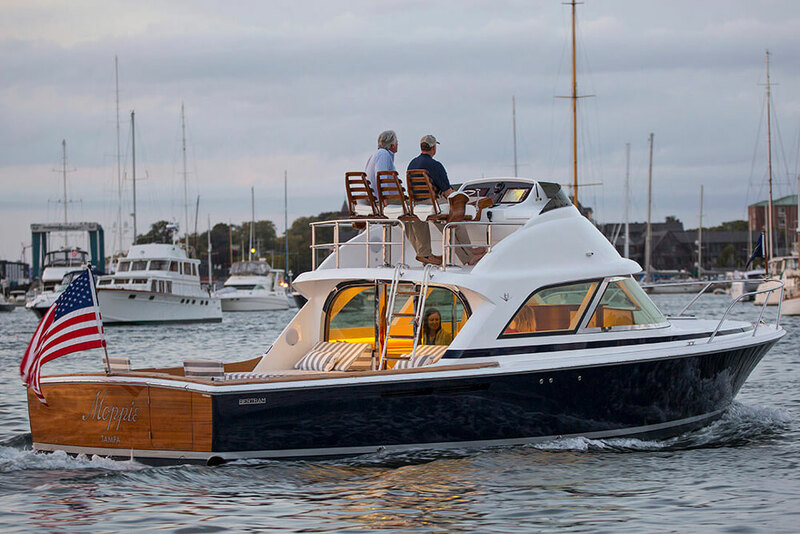 Like a sailboat, the SeaPiper runs smoothly, taking head seas in stride with her 17,000-pound displacement. She turns easily but gradually. Her long keel keeps her tracking and will protect the prop and rudder in case of a beach grounding. The propeller kicks to port in reverse so a bow thruster comes in handy. Everything on the SeaPiper was designed with a purpose starting with the unusual mid-cockpit. The 60-square-foot center cockpit gives the yacht a workboat aesthetic but there are pluses to the unconventional design. First, the cockpit is the most still platform on the boat and therefore the most comfortable for extended lounging. Second, the captain can keep its occupants in view under way and with 30-inch coamings, it’s a great place for visitors and kids. Finally, because the cockpit sits between the pilothouse and the forward cabin, the cockpit is protected from the wind and spray. Side doors both port and starboard provide easy access from the dock or dinghy and a service winch installed there can lift provisions, jerry cans or dive gear so even a single-hander can manage easily. Bench seating is along both sides of the cockpit and can seat 6-8 for outdoor dining with the addition of a table. 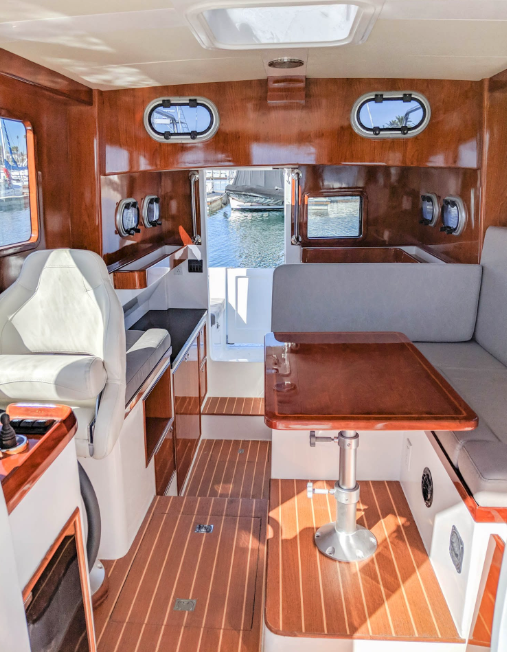 The seats are also steps up to the foredeck where you’ll find an electric windlass and plenty of cleats for dock and snubber lines. Aft is the pilothouse with the helm, a dinette and galley. Sliding doors lead from the tiny aft cockpit to two steps down to the galley. The SeaPiper is a boat built for a couple (or maybe a single-hander) with the occasional guest or grandkid making a short appearance. The only cabin is forward of the cockpit and is completely contained in its own, dedicated section of the interior. The v-berth can be made into a double with an insert. There’s plenty of stowage capacity with a hanging locker to starboard and cubbies throughout. A wet head to port has a Sealand electric macerating freshwater head, the only real nod to complex luxury on the vessel. The freshwater rinse will prevent odors from building up in the plumbing but it will also be a draw on the fresh water supply, which is 140 gallons. It’s a bit surprising that this isn’t the usual dependable manual seawater-flush head. It’s also the only head aboard so all who need it must enter the cabin to do so. Aft is the pilothouse with the helm, a dinette and galley. Sliding doors lead from the tiny aft cockpit to two steps down to the galley. Here you’ll find a two-burner LPG cooktop just like on a sailboat, a 4.6 cubic-foot refrigerator, a single stainless steel sink and a microwave. Our test boat was also equipped with the optional oven. There’s a 2200-watt inverter to power outlets off the 420 aH capacity house battery bank and plenty of Corian countertop space to prepare meals. A NextGen diesel generator is a good option for charging but it’s nice to know that with propane, it won’t be needed for every small galley task. Three steps lead up to the L-shaped dinette with a hi/lo table that can be made into a 6’6” long single berth for the occasional adult guest or two kids. To starboard is an additional small settee and just ahead in the corner is the helm. The optional Raymarine electronics package may be installed on the dash but a more elegant presentation would be welcome. A destroyer wheel is mounted on the bulkhead and a footrest would be helpful just ahead of the single captain’s chair. Ventilation is good with an overhead hatch as well as four opening portlights in the galley and you can always open both the forward and aft doors and have the breeze blow right through. Everything on the SeaPiper has been designed to be simple to install, access and maintain. There are now whizbang or complex systems aboard and although that may seem odd in today’s world of luxury-on-demand, it’s also refreshingly free of stress. One engine, a propane stove, basic electronics, redundant fuel and water tanks, and no exterior wood to maintain – this sounds like cruisers’ heaven. With SeaPiper, it’s likely you’ll spend very little time in port attending to chores and more time having the cruising adventure you seek. That’s not to say that you can’t add other systems like a watermaker because there is room in the spacious machinery room ahead of the engine, but the point is that you don’t need to complicate things. You’ll still enjoy the same places as million dollar yachts with a lot less down time and a lot smaller initial cash outlay. With the SeaPiper you won’t go 20 knots or entertain a crowd of 20 people, but then, a slower journey with more peace can be just what you’re looking for. 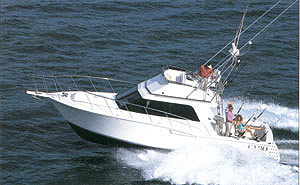 For more on trawlers, read Five Affordable Trawlers Under 40 feet and Five Affordable Trawlers Over 40 feet.